Sir Alex Ferguson is undoubtedly one of the greatest managers the game of football has seen in all its profession history. During the 26 years he spent at the helm of Manchester United, Ferguson led the side to numerous major titles, both domestic as well as continental. The Scot bagged two UEFA Champions League titles with the Red Devils, whilst also famously knocking Liverpool off their perch by helping the Mancunian giants win the most number of league titles in the history of English football. United were a force to be reckoned with under Sir Alex, and there was hardly ever a player that even thought of turning the legendary gaffer down when he approached with an offer. However, a new revelation by Ferguson himself suggests that one legendary defender of the game did precisely that. 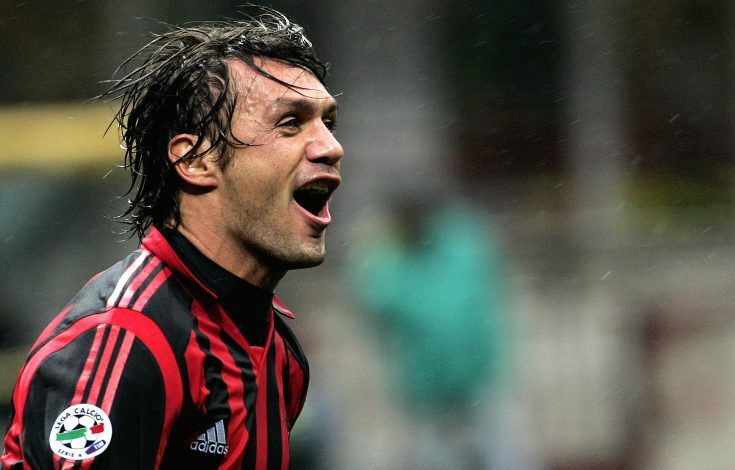 Despite being personally approached by Sir Alex, AC Milan legend Paolo Maldini stayed put in Italy, with the player’s father, Cesare Maldini, rejecting the Manchester United boss straightaway. While recently reminiscing about the story of this transfer saga, Sir Alex revealed that Cesare was a rather formidable figure, who simply shook his head at the prospect of his son’s departure from Italy. A classic story, but one can’t help but wonder just how things would have turned out had the Italian legend actually made the switch to the Theatre of Dreams.